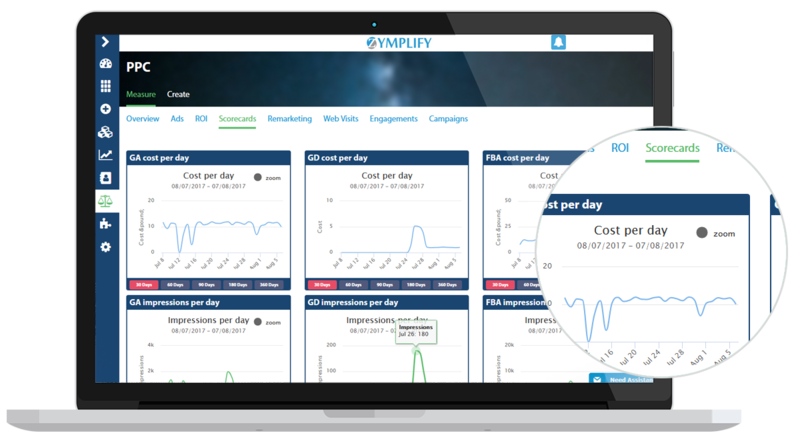 Zymplify's marketing platform allows you to manage all your Social and Pay Per Click campaigns in one place. Target and reach out to your customers via social media channels. 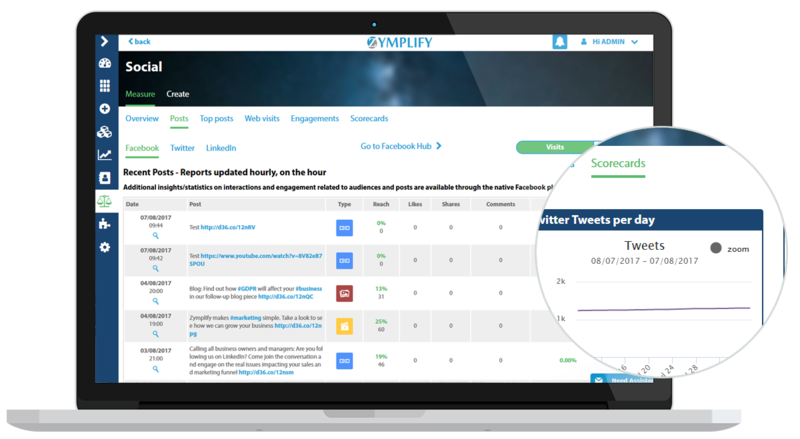 Connect all your social accounts to the Zymplify platform to manage your campaigns. Schedule and deliver your social posts directly from the platform. By managing the funnel in one place, you will be able to monitor your social performance and watch your audiences grow. Individual marketing tools will help monitor the performance of marketing activity to your website, but then what happens? 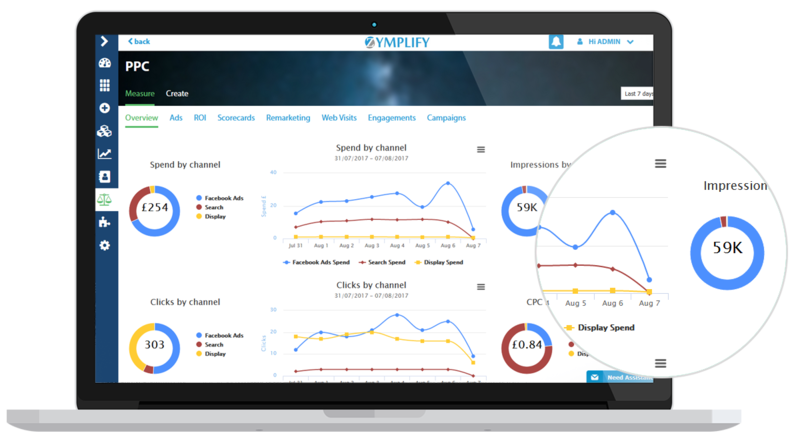 With Zymplify's campaign management, you can create trackable landing pages for your marketing activity and continue to track the user's journey through your website and see whether they complete your goal. Zymplify piece the two together to see the full end-to-end customer journey. 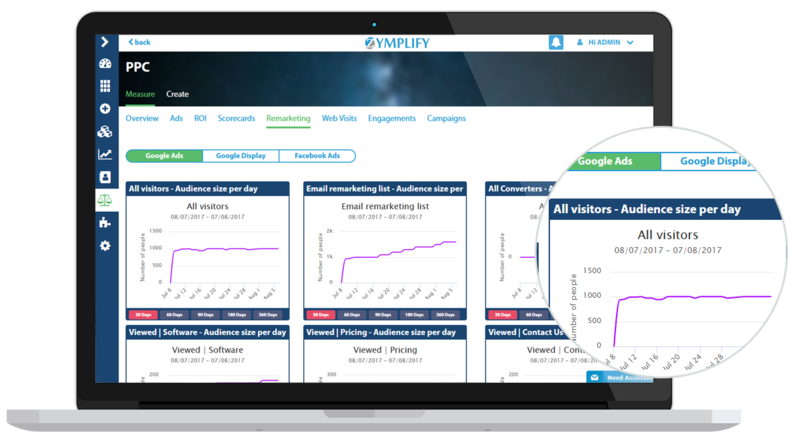 Zymplify allows you to add tracking pixels to your campaigns to measure results and add your selected audience to a re-marketing pot. This allows you to reach out and re-market to the customers that may have interacted with one of your marketing campaigns.